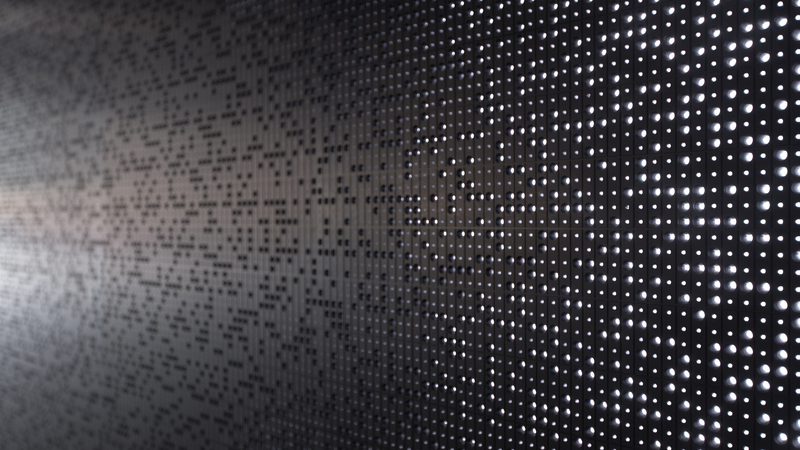 Message from the Unseen World is a permanent work inspired by the ideas and legacy of Alan Turing. It was commissioned by Future City for British Land’s Paddington Central along the gateway to the new development close to Bishop’s Bridge Road. Turing is often considered to be one of the founding fathers of modern computer science, an exceptional mathematician and code breaker who not only outlined the concept of the general purpose computer, but also defined and instituted the field of Artificial Intelligence. 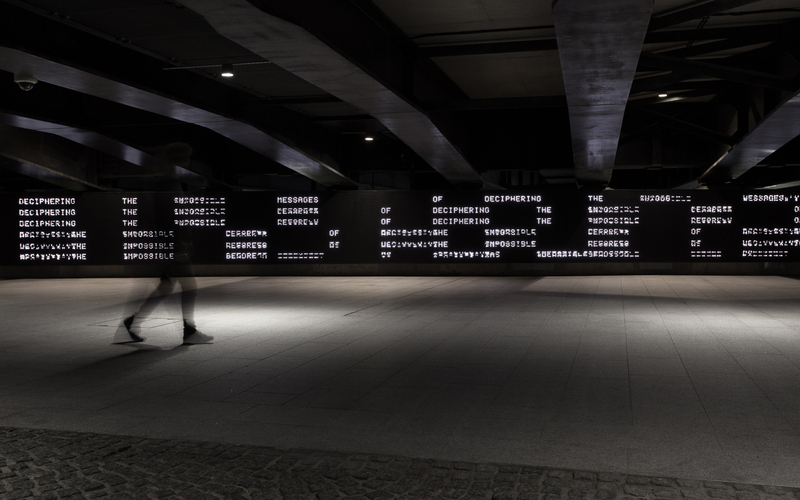 When UVA realised Turing was born in the Paddington area it seemed even more appropriate to design a public homage to him, as his work had greatly inspired the studio in their algorithmic design principles. 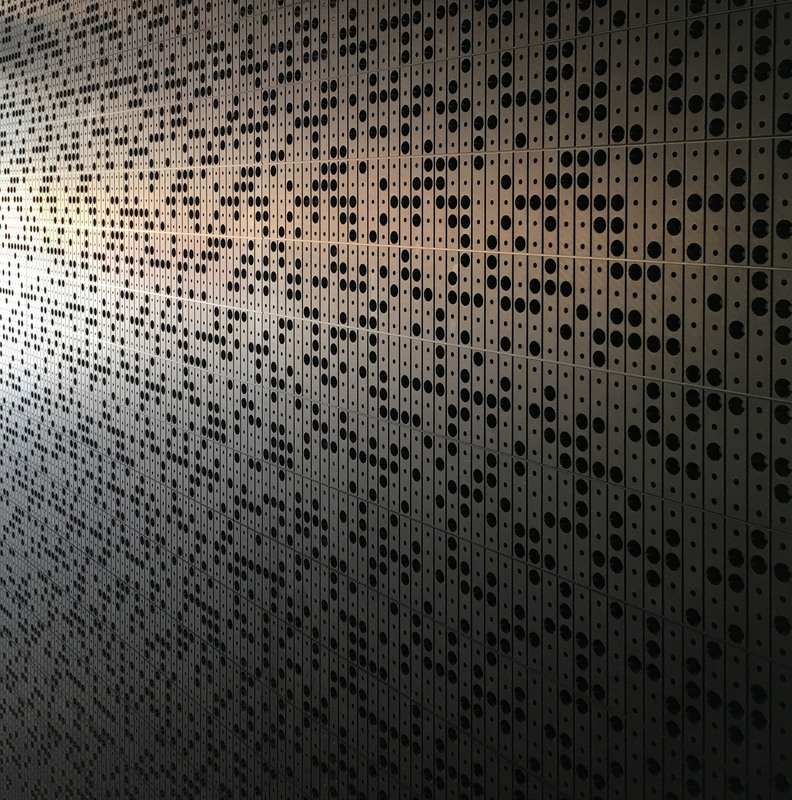 The front face of the artwork comprises LED and perforated aluminium panels that display a hard-coded version of extracts from Turing’s groundbreaking ‘Computing Machinery and Intelligence’ (first published in 1950), visually represented as patterns based on Baudot code. 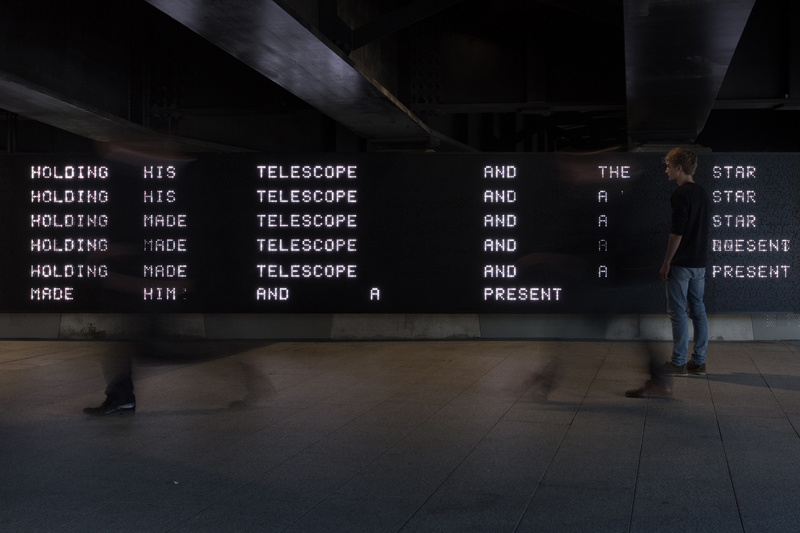 Within the artwork’s software lives another text, a specially commissioned new poem by the writer Nick Drake, inspired by Turing’s work. The artwork itself is a continuously evolving machine; an ‘engine’ that uses basic principles of artificial intelligence to endlessly interpret Drake’s work. 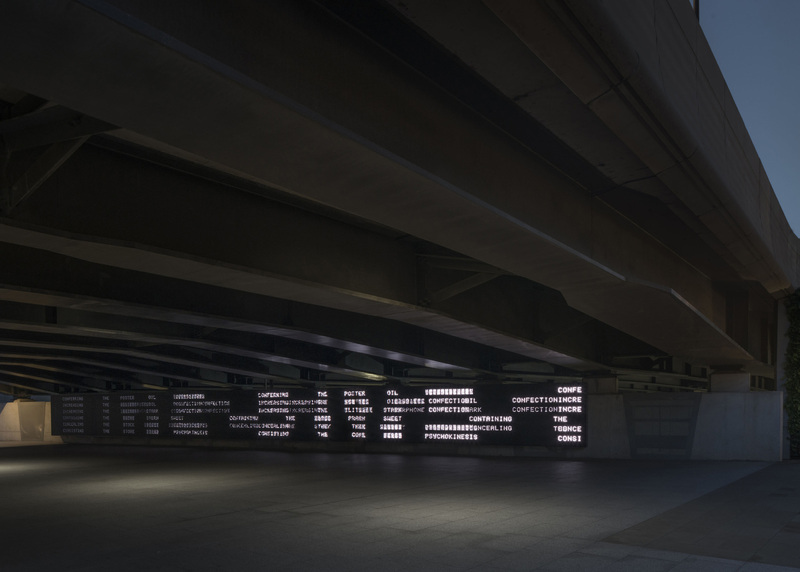 The result is a literal in memoriam for Turing, a dynamic artwork that gives viewers a sense of witnessing a machine trying write like a poet, whilst thinking like a machine. It reminds us of the complementary relationship between people and technology, how it has changed from the 20th to early 21st Century, and how this relationship will continue to develop.